This movie is an absolute abomination. Do not contemplate watching it, even if you decide to pirate it on the net. If you’re here to read a review about this film, you can stop once you reach the end of this paragraph — it is bad, terribly terribly bad. If you still want to know what happens in the story, here goes: Saisyu Kusanagi dies, Chizuru Kagura dies. Rugal is disintegrated into ashes after having a sword thrown into his body. Now, if you still want to see me dispense my Great Justice on this movie, you can continue reading until the end. You have been warned. 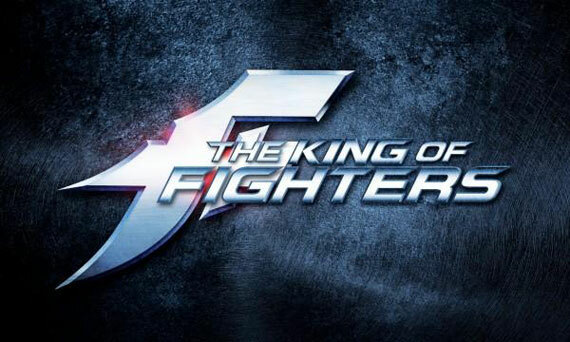 The King of Fighters movie (directed by Gordon Chan) is loosely based on the arcade fighting game of the same name (developed by SNK Playmore). I say loosely based, because in the film Mai Shiranui (played by Maggie Q) is dating Iori Yagami (played by Will-Yun Lee), and she is able to wield lightning. Terry Bogard (played by David Leitch) is a CIA agent, and Mature and Vice (played by Monique Ganderton and Bernice Liu respectively) are lesbians. Seriously, Mature and Vice are lesbians?? The film’s script repeatedly breaks the fourth wall, constantly reminding the viewer how ludicrous the entire plot is. When Mai is seeking an explanation on how the Three Sacred Treasures are able to transport fighters to an alternative dimension, Iori simply replies something along the lines of: “How the hell do I know?”. Terry: Dimensions, dimensions! Nobody travels to another dimension and fights in an underground tournament. It doesn’t happen. Terry: Oh, of course you have! Have you lost your friggin mind? You actually believe you’ve gone to another dimension. Of course, I already knew that the KOF movie’s story would be fail. Still, I was hoping for at least some above average fight scenes, and maybe a few campy laughs just for fun. Unfortunately, the fights were only entertaining for the first three minutes, whereupon they became completely uninteresting and lethargic to watch. Look, I’m not asking for Kill Bill or Kara no Kyoukai quality fight-scenes, but for a film calling itself King of Fighters, this was a major disappointment for me. With no story and bad action, the only thing left to save this film are the characters. For all of his prowess as a real-life martial artist, Ray Park (playing Rugal) still hasn’t improved his acting skills after all these years. The rest of the cast are equally forgettable, which leaves us with Maggie Q. If you want to spend SG$8.50 to watch Maggie Q, may I suggest renting Balls of Fury or one of her older Hong Kong action shows instead. Don’t waste your money on this piece of crap. Speaking of SG$8.50, you’re probably better off heading to the arcade, and converting that money into tokens. Go play the real King of Fighters, or whatever arcade game you fancy. Anything is better than this piece of crap film. I’ve said piece of crap three times in quick succession now. What else do you want to know? One of the production companies in charge of financing the KOF movie, Convergence Entertainment, will be producing a pair of upcoming live-action Gungrave and Lone Wolf films. Yes. Doomsday is upon us. Dear SNK Playmore, what have you done? You’ve inadvertently helped to sow the seeds of our cinematic destruction. I don’t know whether my SG$8.50 will even reach your coffers, but please, go and finish porting the console version of KOF13. Stop resorting to such desperate acts of earning money. The Good: Maggie Q, but only barely. The Bad: 93 minutes of your life lost. The author watched the film at Ang Mo Kio Hub, Cathay. He paid SG$8.50 for his ticket (Friday afternoon pricing), as well as a portion of his soul. ..king of fighters live action movie sucked…. i gotta agree that the movie is bad, very bad indeed.